Tucked away down a corridor at Nokia’s headquarters here is a reminder of its 150-year history. A colorful display traces its transformation from a maker of rubber boots in the 19th century to the world’s largest manufacturer of cellphones, whose market capitalization once peaked at almost $250 billion. Those high-flying days, though, are long gone. sold its faltering handset business to Microsoft. Now, in an effort to remake itself once again, Nokia has turned to manufacturing the telecom equipment that powers the mobile networks of global carriers like Deutsche Telekom and China Mobile. That strategy will soon face its biggest test when Nokia completes its$16.6 billion takeover of its Franco-American rival Alcatel-Lucent in early 2016. The hurdles facing Nokia’s effort are high. The company must sidestep the checkered past of previous costly takeovers in the telecom industry that have often yielded more problems than solutions. Nokia is also confronted with tough competition. Low-cost Chinese rivals and a downturn in spending from carriers worldwide have cut growth prospects just as it edges toward its largest acquisition in years. Yet, Rajeev Suri, Nokia’s 48-year-old chief executive, says the takeover of Alcatel-Lucent is exactly what his company needs to execute its yearslong makeover. That overhaul has included cutting more than 17,000 jobs, and the sale of unwanted assets like its digital mapping unit. Analysts say both companies do offer complementary expertise: Nokia specializes in wireless networks, and Alcatel-Lucent is best known for its routers and other equipment that is used to create broadband networks. But as carriers like Verizon Wireless and Telefónica of Spain, which represent the bulk of the companies’ revenue, pull back on mobile networks investments, industry watchers remain concerned that a bigger Nokia may struggle to find new customers to offset the moribund global telecom industry. Sales, including in the United States, have flatlined. History also offers reason for caution. Alcatel’s merger with Lucent Technologies in 2006, for example, led to corporate infighting, dwindling sales and, eventually, wholesale layoffs. And Nokia’s own joint venture with Siemens, the German industrial giant, faced many of the same headwinds, finally culminating in Nokia buying out Siemens in 2013. Ever since Nokia first announced its takeover of Alcatel-Lucent this year, it has looked to previous deals, including its lackluster partnership with Siemens, to avoid repeating past mistakes. Jorg Erlemeier, who led Nokia’s integration team, said the deal was specifically structured as a takeover, not a merger of equals, so that Nokia executives would assume lead management roles — a way to avoid confusion over how the expanded company would be run. Mr. Erlemeier’s team, which now numbers more than 1,000 people, has met almost weekly since April, negotiating logistics, corporate structures and possible job cuts ahead of the deal’s completion early next year. Foreign companies have also had trouble acquiring French corporate giants in the past, partly because the French government holds stakes in a number of so-called strategic assets like the energy and telecom industries. The government, for instance, initially balked at General Electric’s offer to buy the energy assets of Alstom, a French conglomerate. The French government, however, owns less than a 4 percent stake in Alcatel-Lucent. And Nokia has guaranteed it will maintain job levels in France and has created a $105 million fund to support local tech companies, efforts that have so far tempered concerns from French politicians. The company acknowledges it recently sold PCs loaded with a form of identification that could make them vulnerable to cyberattack. Computer maker Dell warned late Monday of a security hole affecting recently shipped computers that could leave users vulnerable to hackers. The issue affects computers made by Dell that come with a particular preinstalled customer service program. Through a certificate that would identify the computer to Dell support staff, this program makes the computers vulnerable to intrusions and could allow hackers to access encrypted messages to and from the machines, Dell said. There is also a risk that attackers could attempt to reroute Internet traffic to sites that look genuine but are in fact dangerous imitations. Dell said that customers should take steps to remove the certificate from their laptops, offering instructions on how to do that manually. Starting Tuesday, it also plans to push a software update to computers to check for the certificate and then remove it. “Customer security and privacy is a top concern and priority,” the Round Rock, Texas-based company said in a statement. Dell did not respond to a request for more information. Security researcher Brian Krebs said that the problem affects all new Dell desktops and laptops shipped since August. That would mean a vast number of computers are at risk. In the third quarter,Dell shipped more than 10 million PCs around the world, according to market researcher IDC. The disclosure by Dell is another sign of the dangers that lurk as we check our bank accounts online, go shopping via Amazon and share personal information over Facebook. While big data breaches at retailers like Target and Home Depot affect thousands of people all at once, consumers can also be hit much closer to home through their own laptops and smartphones. Even as they’ve become attuned to taking security precautions, though, consumers typically don’t have to worry about brand-new technology they’ve just brought home from the store. For sure, some programs that computer manufacturers install can prove irritating or cumbersome. The revelation that one might be genuinely dangerous has the potential to erode trust in the computer in one’s hands and in the company that supplied it. This isn’t the first time this year that out-of-the-box PCs have contained vulnerabilities. Some Lenovo laptops were found to have a similar security flaw thanks to a preloaded program called Superfish. This software altered search results to show different ads, but it also tampered with the computer’s security. It was eventually fixed with a specially released tool. Dell said that its certificate isn’t adware or malware, nor was it used to collect personal information. The program in question is being removed from all new Dell computers, the company said, and once it is properly removed according to the recommended process, it will not reinstall itself. London’s tech community is virtually unanimous: EU membership is good for digital business. A Tech London Advocates’ survey released this week found that 87 pc of London’s technology community thinks that the UK should remain part of the European Union. This resounding ‘Yes’ to EU membership should come as no surprise: technology companies are geared to drive efficiency and innovation in global communities. Sharing ideas, experience and skills is fundamental to the digital community. For us, ‘Brexit’ flirts with a situation of economic uncertainty that is entirely avoidable, bad for the digital economy and bad for the country as a whole. Over the past decade, London’s technology sector has become one of the world’s centres of digital innovation because of the key benefits that EU membership provides: talent, trade and power. I fear that these three keys to success will be damaged if the UK were to leave the EU. The EU’s free movement of labour has enabled London’s tech sector to grow exponentially over the last several years. With no need for visas and work permits, London’s start-ups and scale-ups can welcome the best and brightest from across the EU at short notice and often at no extra cost. This gives British technology companies access to a population of more than 500 million – larger than the US. This is a unique talent pool that we cannot allow to slip from our grasp. EU membership provides London’s tech community, and the British economy at large, with an unrestricted trade flow. In 2014, nearly half of all UK exports of goods and services were destined for the EU. It is this trade flow that has been, and will continue to be, a key economic driver of UK growth and prosperity. Imagine London’s start-ups and scale-ups having to pay export tariffs on 50 per cent of all their outgoing services. The financial impact would be crippling. As an established or emerging economy, nations need trading partners that have the capacity to drive growth and sustain natural setbacks. EU membership boosts Britain’s global profile and often reassures investors from across the globe. Brexit could plant dangerous uncertainty in the minds of these global investors by bringing a high degree of uncertainty if Brexit were to occur. Membership also enables Britain’s businesses to benefit from the bargaining power that comes with belonging to a significant trading bloc. It would be incredibly shortsighted to walk away from the economic security and international clout that this bargaining power provides. London is the shining star of Europe’s tech constellation: according to research conducted by GP Bullhound, 13 of the continent’s 40 ‘unicorns’ (billion dollar tech companies) were founded in the capital. Global companies want to operate in London to have access to our growing technology sector, but also because the UK is seen as the gateway into Europe. Brexit would render unicorns and global HQs rarities in the capital. We hope that representatives from other industries will follow the lead of the tech sector and speak out about the benefits associated with EU membership. For now, we are proud to launch the ‘TLA EU-Yes’ group, and we look forward to highlighting how EU membership helps London’s tech community, achieves excellence and continues to be the fastest growing sector of the economy. Let’s embrace our membership of the Union and continue to reap the benefits, which will provide significant economic growth for all to benefit. Théo Négri, a young software engineer from France, had come up with so many novel ideas at his job at an Internet start-up in San Francisco that the American entrepreneur who hired him wanted to keep him on. So he helped Mr. Négri apply for a three-year work visa for foreign professionals with college degrees and specialized skills, mainly in technology and science. With his master’s degree from a French university and advanced computer abilities, Mr. Négri seemed to fill the bill. But his application for the H-1B visa was denied, and he had to leave the United States. Back in France, Mr. Négri used his data skills to figure out why. The answer was simple: Many of the visas are given out through a lottery, and a small number of giant global outsourcing companies had flooded the system with applications, significantly increasing their chances of success. While he had one application in last year’s lottery and lost, one of the outsourcing companies applied for at least 14,000. The companies were squeezing out American employers like his boss. “I had this great American dream that got broken,” Mr. Négri said, speaking by telephone from Lyon, France. Congress set up the H-1B program to help American companies hire foreigners with exceptional skills, to fill open jobs and to help their businesses grow. But the program has been failing many American employers who cannot get visas for foreigners with the special skills they need. Instead, the outsourcing firms are increasingly dominating the program, federal records show. In recent years, they have obtained many thousands of the visas — which are limited to 85,000 a year — by learning to game the H-1B system without breaking the rules, researchers and lawyers said. In some years, an American employer could snag one of these coveted visas almost anytime. But recently, with the economy picking up, the outsourcing companies have sent in tens of thousands of visa requests right after the application window opens on April 1. Employers who apply after a week are out of luck. Those firms have used the visas to bring their employees, mostly from India, for large contracts to take over work at American businesses. And as the share of H-1B visas obtained by outsourcing firms has grown, more Americans say they are being put out of work, or are seeing their jobs moved overseas. Of the 20 companies that received the most H-1B visas in 2014, 13 were global outsourcing operations, according to an analysis of federal records by Professor Hira. The top 20 companies took about 40 percent of the visas available — about 32,000 — while more than 10,000 other employers received far fewer visas each. And about half of the applications in 2014 were rejected entirely because the quota had been met. Two of those applications came from Mark Merkelbach and his small engineering firm in Seattle. For water projects in China, he needed engineers and landscapers who speak Mandarin, and he could not find them in the local market. With his H-1B visas denied, Mr. Merkelbach had to move the jobs to Taiwan. Another denialwent to Atulya Pandey, an entrepreneur from Nepal who founded an Internet company in the United States and now can no longer work legally in this country for his own business. The top companies receiving H-1B visas in recent years, Professor Hira found, include Tata Consultancy Services, known as TCS, Infosys and Wipro, all outsourcing giants based in India; Cognizant, with headquarters in New Jersey; and Accenture, a global operation incorporated in Ireland. “They have spent a lot of time and money creating a business model that fits within the rules so they can use the visas to offer cheaper labor,” said Bruce Morrison, a lawyer representing an association of American engineers. For example, federal law requires global companies employing large numbers of H-1B workers to sign a declaration saying they will not displace Americans. But there is a loophole: An exemption cancels that requirement if employers pay H-1B workers at least $60,000 a year — significantly less than an experienced technology worker’s salary in many parts of the country. Many of the outsourcing firms’ temporary workers earn $60,000 or just a little more, according to federal data compiled by Professor Hira. Among the immigration visas offered by the United States, the H-1B program stands out for its peculiar rules. The annual quota includes 65,000 visas for foreign workers applying for the first time, while the remaining 20,000 are for foreign students graduating with advanced degrees from American universities. Each year the period for applications opens on April 1, and they are accepted first come first served. Federal officials allow only one application for each foreign worker. But there is no limit on the number of visas a company can seek. A company with thousands of employees can submit many applications. By law, if applications quickly exceed the quota, officials use a computer-run lottery to select the visa recipients. Recently, demand for the visas has soared; each year since 2013 the selection went to the lottery. This year, 233,000 applications were received in just seven days, and about two-thirds were denied because the quota was met. But Mr. Négri, who is now 27, wanted to understand it. He had been hired by David Petersen through an open job search after he posted his professional profile online. Mr. Petersen was looking for engineers to expand his start-up, BuildZoom, which helps people find construction contractors. 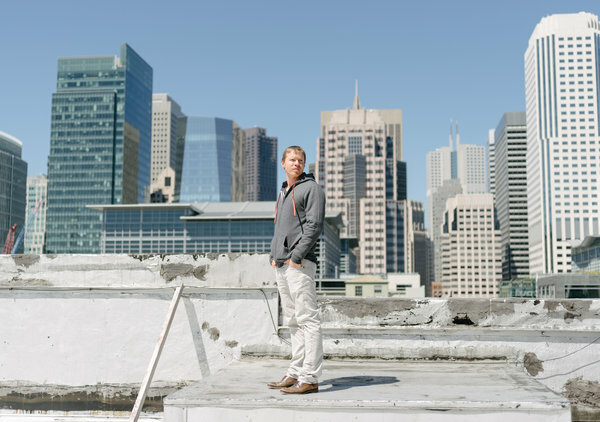 “I was just looking for great people,” said Mr. Petersen, in San Francisco. “And Théo had been building cool stuff since he was a 13-year-old.” Mr. Petersen said he had hired several local tech workers at the same time, and Mr. Négri, rather than displacing Americans, brought in more. Then his visa was denied. So Mr. Négri combed through public documents that employers file with the Department of Labor as a first step in an H-1B application. For the limited quota of visas, Mr. Négri discovered, the outsourcing companies had submitted far more applications than a small company like BuildZoom could manage or afford — each application costs up to $4,000. Together the top five outsourcing companies had prepared as many as 55,000 H-1B applications. TCS, the company that had prepared applications for at least 14,000 visas, won 5,650 of them. 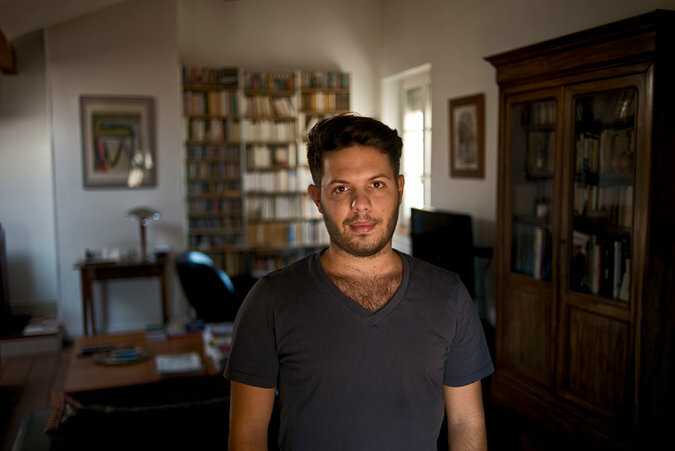 Mr. Négri is now working on a tech start-up of his own — in France. American titans like IBM, Microsoft, Facebook and Google also use H-1B visas and have pressed Congress to increase the annual quota. A representative of The New York Times Company said it had about 70 employees on visas, most of them skilled technology workers. This year, the company obtained an H-1B visa for Mark Thompson, the president and chief executive, who is British. Lawmakers have largely overlooked the outsourcing companies’ role in the visa process. On Sept. 30, Congress allowed an extra fee of $2,000, which it imposed five years ago on H-1B applications from the biggest outsourcing companies, to lapse. On Tuesday, Senators Richard Durbin of Illinois, a Democrat, and Charles H. Grassley of Iowa, a Republican, introduced a bill to change the H-1B program and another temporary work visa, the L-1B, to raise wage requirements, increase monitoring and enforcement and add other protections for American workers. “The H-1B visa program was never meant to replace qualified American workers,” the senators said. Most of the global firms focus on technology, offering services to American companies to upgrade their systems and help them compete amid rapid change in the international marketplace. Still, Cognizant was the second-largest recipient of H-1B visas in 2014, getting more than 4,200. The outsourcing companies say they are hiring more Americans and contributing to the economy. In August, TCS announced a $35 million donation to Carnegie Mellon University for a new research center on its campus in Pittsburgh. But Mr. Pandey, after losing out in the H-1B lottery, had to set up shop back in Nepal to try to manage a growing company based in New York. As an undergraduate at the University of Pennsylvania, Mr. Pandey befriended an American classmate from Arizona, Vincent Sanchez-Gomez. 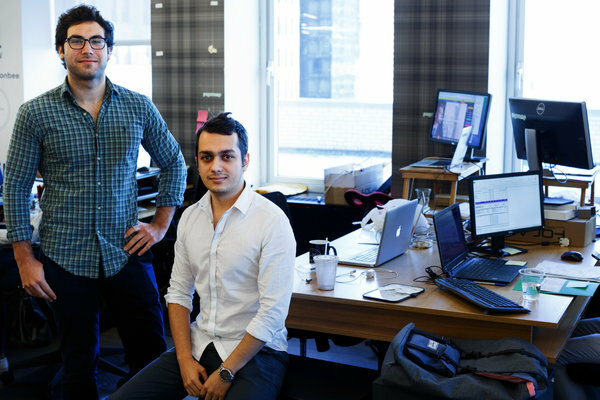 By their junior year, they were running a start-up. In 2013, after graduating, they turned full time to their venture, Pagevamp, which helps small businesses create and run their own websites. The H-1B denial was a blow. “It was quite stressful, for me and for the entire company, because it’s what we were counting on,” Mr. Pandey, 25, said during a brief stop in New York last month; now he can come to the United States only on a visitor’s visa. Mr. Sanchez-Gomez, 24, has to handle investors, a staff of 10 and the company’s plans for expansion through video calls with a business partner halfway around the globe. Black Friday 2015: what is it, when is it and what are the best deals? Black Friday is the biggest shopping day of the year, when retailers offer drastic deals and discount on their products to kick-start the Christmas shopping season. If you think Boxing Day gets a little messy, you’re in for a nasty surprise. Last year, British consumers spent £810m on Black Friday. That’s a rate of £9,375 every second. This year, sales are expected to surpass £1bn, with some predicting that’s how much UK shoppers will spend just on online purchases. The sales bonanza takes place the day after Thanksgiving, which is the fourth Thursday in November. This year, Black Friday falls on November 27. Most sales kick off at midnight or at 8am, although the day is creeping earlier and earlier, with some retailers (particularly in the US) launching the deals the evening before. Last year, Amazon released flash deals every 10 minutes for the full week running up to Black Friday, and this year it seems to be running deals for the whole of November. • John Lewis has launched its Black Friday website and, like last year, has promised to honour its Never Knowingly Undersold pledge and match its competitors’ prices. • Black Friday to boost footfall – is it stealing sales from Boxing Day? • Argos, which saw 660,000 visits to its website within one hour of launching its Black Friday deals, is encouraging shoppers to pre-register online for quicker access to its best deals. • Currys PC World has launched a price comparison app and is promising to match cheaper prices at its major competitors, including John Lewis, Argos, Asda and AO.com. • Very.co.uk is running “thousands” of deals in the run up to Black Friday, including a £1,299 Samsung 55-inch Curved Full HD Smart TV for £849. • If you’re looking to buy a new laptop, you might want to wait until Black Friday. Context, the IT supply chain analyst, said that UK retailers imported a record high number of laptops last month. For an idea of what else to expect, these are the deals that were available last year on Black Friday and Cyber Monday. The term Cyber Monday was coined in 2005 to refer to the first day back at work after the Thanksgiving weekend, when people would continue their shopping online on their office computers. This year, Cyber Monday is on November 30th. While many retailers offer online deals on Black Friday, usually a new trove of internet-only discounts are unleashed on Cyber Monday. There’s also Small Business Saturday, an initiative started by American Express in the US that was picked up in the UK two years ago. It encourages consumers to support their local retailers. Then there’s Sofa Sunday, a slightly less established term for the Sunday of Thanksgiving weekend, when turkey-bloated people who have shopped until they’ve dropped can continue the spending via mobile devices from the comfort of their own homes. And if all this consumerism is getting you down, look forward to Giving Tuesday, a day that encourages the more charitable side of things. Why does the UK care about Thanksgiving? Black Friday first arrived in the UK five years ago when Amazon thought it would try its luck bringing the shopping sensation to a new market. In 2013, Asda, which is owned by American retail giant Walmart, participated in UK’s version of Black Friday, and last year most major UK retailers including John Lewis, Marks & Spencer, Argos and even British Airways jumped on board. And with that, any remaining English decorum flew out the window. Shoppers trampled over each other in their rush to enter stores and police were called to break up fights as consumers grappled over discounted televisions and behaved “like animals”. Lib Dem MP Greg Mulholland even tabled a motion in the House of Commons criticising “large retailers who chose to adopt the American retail custom of Black Friday” for enabling public disorder and wasting police time. The motion, which was signed by Jeremy Corbyn, called on UK retailers not to engage in Black Friday again. What will Black Friday look like this year? While Jeremy Corbyn might be avoiding the sales mayhem, bargain-hungry shoppers are expected to descend in their droves on UK high streets and online stores. Internet spending on Black Friday alone is expected to hit £1.07bn, a 32pc increase on last year’s £810m, according to Experian-IMRG, which will mark the first time that online retail sales in the UK will surpass £1bn in one day. Britons will increase their web spending by almost a third on Cyber Monday and New Year’s Day too, to £943m and £638m respectively, while Boxing Day sales will tempt consumers to part with 22pc more than last year, or £856m. Even Christmas Day will not provide respite for wallets, with online spending expected to increase 11pc to £728m. Over the entire five-week festive period, consumers are expected to spend £4.9bn on internet shopping, up from £4bn in 2014. Shops themselves will be busy, too. Springboard predicts that footfall on Black Friday will be 11.5pc higher than last year, driven by a 17pc boost in visits to retail parks. However, that doesn’t bode well for later on in the Christmas shopping period. Footfall is expected to be 8.8pc lower on Boxing Day than it was last year as consumers splash out on earlier sales or choose to shop online. Last year was the first time that Boxing Day was not the highest retail spending day of the year in the UK. Where did Black Friday get its name? The term was first used in this context more than 50 years ago by Philadelphia police officers to describe the chaotic day after Thanksgivingwhen the city was overrun with the traffic of consumers flocking to the Christmas sales and sports fans travelling to the annual Army vs Navy American football match. Retailers tried to rename the day “Big Friday”, but it didn’t stick. It is also believed that the name comes from the day when many retailers, which do not make a profit until the Christmas trading period, move from the red into the black. Due to the chaotic scenes that have become part and parcel of Black Friday, The Telegraph’s front page last year christened the day “black and blue Friday”. Facebook is now tackling a problem that has evaded computer scientists for decades: how to build software that can beat humans at Go, the 2,500-year-old strategy board game, according to a report today from Wired. Because of Go’s structure — you place black or white stones at the intersection of lines on a 19-by-19 grid — the game has more possible permutations than chess, despite its simple ruleset. The number of possible arrangements makes it difficult to design systems that can look far enough into the future to adequately assess a good play in the way humans can. The project is part of Facebook’s broader efforts in so-called deep learning. That subfield of artificial intelligence is founded on the idea that replicating the way the human brain works can unlock statistical and probabilistic capabilities far beyond the capacity of modern-day computers. Facebook wants to advance its deep learning techniques for wide-ranging uses within its social network. For instance, Facebook is building a version of its website for the visually impaired that will use natural language processing to take audio input from users — “what object is the person in the photo holding?” — analyze it, and respond with relevant information. Facebook’s virtual assistant, M, will also come to rely on this type of technology to analyze and learn from users’ requests and respond in a way only humans could. For researchers at the outside-the-box Media Lab brain trust, the future can be seen even in a sprinkling of sensors and video game software. Joe Paradiso chuckles at the unexpected growl of a small aircraft engine. The airplane isn’t overhead. It’s 50 miles away, passing over a former cranberry bog that Paradiso and his research team are monitoring. Microphones planted there have relayed the sound to his workspace here at the MIT Media Lab as we look at a computer screen showing the virtual Tidmarsh landscape. The laser-scanned view of the wetland shows temperatures logged by dozens of sensors carefully placed in the 600-acre expanse. We’ll soon be able to see numbers for humidity, light level and other climate stats. The airplane quickly passes, and we can better hear the atmospheric, New Age-y soundtrack shaped by the stream of data. Paradiso, 59, calls to a colleague to see about switching to a spookier nighttime sound. It feels rather like a video game, and that’s by design for Paradiso and his Responsive Environments group. Paradiso’s reimagining of farmland is only one of the far-out projects at the Media Lab, a six-story future factory located a block from the Charles River on the eastern fringe of the MIT campus. The Media Lab, which prizes an “antidisciplinary” and hands-on academic culture, celebrates its 30th anniversary Friday. You’d frustrate yourself trying to categorize the work being done here. The names of the two dozen research groups are wildly diverse and evocative: Opera of the Future, Lifelong Kindergarten, Synthetic Neurobiology. More than 150 graduate students, 40 faculty members and a steady stream of visiting scientists and undergrads pitch in on the 350 projects currently under way. Nothing is out of bounds for the Media Lab. Peer through the floor-to-ceiling glass walls of the building’s labs and you’ll find researchers building prosthetics, personal robots, holographic video displays and glass objects created by 3D printers. That diversity and openness are part of what keep the ideas sparking. The creative mishmash serves to do more than generate pie-in-the-sky ideas. It attracts corporate sponsors that provide the majority of the Media Lab’s close to $60 million annual operating budget. More than 80 companies — the Media Lab calls them “members” — pay the minimum $250,000 fee to belong to the club. Members, which make a three-year commitment, include Google, Intel, Twitter, Toyota, GlaxoSmithKline, Estee Lauder, Ikea, New Balance and Coca-Cola. Corporate participation isn’t simply sponsorship of academia. The fee gives members royalty-free licensing for as long as they’re members. It’s an arrangement that has led to, among other things, Lego Mindstorms robot-building kits. E-Ink Corp. may be the Media Lab’s biggest success story. Spun out in 1997, the company developed “electronic paper” displays, low-power screens that replicate book pages. If you own an Amazon Kindle or Sony e-reader, you’ve used E-Ink’s technology. Other projects have also translated into commercial success. Spotify, the streaming music service,bought Media Lab progeny Echo Nest last year for an undisclosed amount. Echo Nest was coveted because its software tools help make sense of music-listening data for online radio services and social media outlets. EyeNetra, based in neighboring Somerville, Massachusetts, spun out of the Media Lab’s Camera Culture group in October 2011. The 15-person startup designs simple, smartphone-powered eye tests that can be conducted outside of an optometrist’s office. Its product, the Netra, resembles a plastic binocular case. A Samsung Galaxy S4 smartphone snaps into the end of the case and you peer through the other. As you turn dials to respond to patterns on the screen, an app measures your degree of nearsightedness, farsightedness or astigmatism. At $900, which includes the smartphone, the highly portable Netra is a fraction of the cost of standard diagnostic machines. Commercial sales of the device began in August, and it is already a key tool for the company’s Blink service, which launched in New York City to provide on-demand eye tests. It is also being used in the similar Nayantara service in India. The technology could soon be used to develop prescription displays for virtual-reality headsets. Not all of the Media Lab’s creations will have a quick payoff. A few years back, for instance, the Camera Culture group designed an array of 500 sensors and a titanium sapphire laser that captures 1 trillion frames per second. It has not had an immediate real-world application, but people at Media Lab say it could eventually prove useful in medical imaging, industrial design and even consumer photography. One of Responsive Environments’ core projects centers on the Tidmarsh Living Observatory, a pair of former cranberry farms near historic Plymouth, Massachusetts, that are being restored to their natural state as bogs. The bogs, a distinctive North American wetland environment, are dotted with an array of low-power sensors to measure temperature, humidity and light. For Paradiso, the project is about more than recording climate statistics. It’s about what it means to be “present,” experiencing and understanding the world about you as fully as possible, with technology helping to make that happen. The Tidmarsh initiative aims to let people interact with data in a 3D environment through a “cross-reality browser” built on the Unity game engine. The software crawls through sensor data the way search engines crawl through data on the Web. The long-term goal, in Paradiso’s view, is to liberate viewers from the laws of physics. Tidmarsh picks up from an earlier project that used sensors to keep tabs on the Media Lab building, and it offers a hint of how we might interact with the Internet of Things, shorthand for a connected world in which cars, homes, sidewalks and clothing monitor and tabulate our lives. It’s also an example of the Media Lab’s overriding concept: no idea is too crazy. To borrow the title of Stewart Brand’s late-’80s book about the institution, everyone there is inventing the future. It’s all about looking beyond the horizon. “The future comes fast,” said Paradiso. How much would you pay to own a piece of space history? A part of the first computer in space comes to the auction block. Want an out-of-this-world gift for the space nerd on your holiday list? Then consider a piece of the computer that helped guide the Gemini 3 spacecraft. A Dallas auction house on Monday began accepting bids for part of the computer that flew with astronauts Gus Grissom and John Young as they orbited the Earth on March 23, 1965. It was NASA’s first two-man space mission, and the first to require an on-board computer. Grissom and Young are among NASA’s most celebrated astronauts. Grissom was among the seven astronauts profiled in Tom Wolfe’s “The Right Stuff,” and was the second American in space. He was killed in 1967 during a pre-launch test for theApollo 1 mission. Young made six space flights during his 42 years of active service with NASA. He was the ninth person to walk on the surface of the moon. And yet, the computer — built six years before Intel introduced the first microprocessor — performed an astounding 7,000 calculations a second. It set the stage for the Apollo missions to the moon, said Paul Ceruzzi, who curates the electronics and computing collection at the Smithsonian Institution’s National Air and Space Museum. “Gemini was a rehearsal for that, in Earth orbit,” he said. The earlier Mercury missions didn’t need their own computers, according to NASA’s “Computers in Spaceflight.” Re-entry was calculated by a computing center on the ground. Retrofire times and firing attitudes were transmitted to the sole astronaut, who manually conducted the maneuvers. There’s another Gemini 3 milestone you might not know. It carried the first contraband into space: a corned beef sandwich from Wolfie’s Restaurant and Sandwich Shop at the Ramada Inn in Cocoa Beach,Florida, according to Space.com. Young pulled the sandwich out of his spacesuit’s pocket two hours into the flight, spraying the capsule with crumbs. NASA was not amused. The memory plane on auction is composed of “tiny doughnuts of magnetic material,” said Ceruzzi. Heritage Auctions set the initial price of the memory plane at $1,200. Online bids will be accepted through November 5. A live auction, which includes an online component will take place on November 6. HTC has delayed the launch of its upcoming fitness wearable — the wrist-mounted HTC Grip — for the second time. The smartphone company, which developed the Grip with sportswear manufacturer Under Armour, has pushed its launch back until early next year, having previously indicated that it would see release alongside a suite of fitness products in 2015. 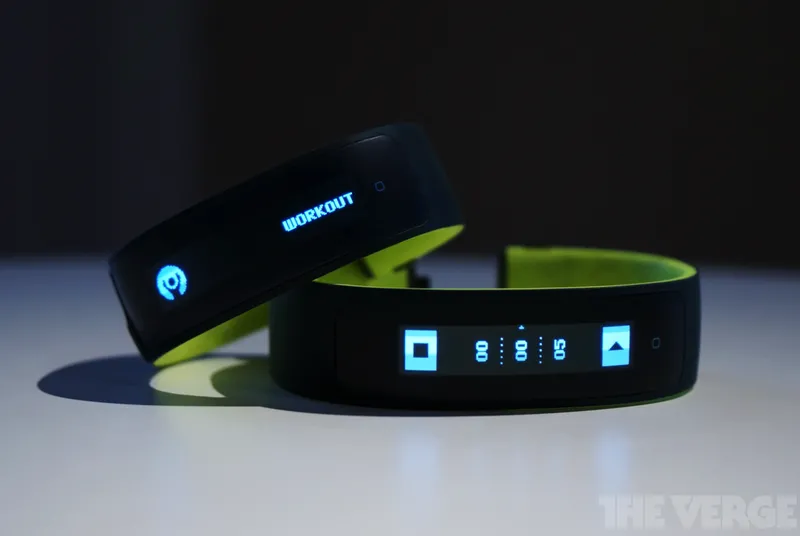 The $199 wristband, set to feature a touchscreen display and GPS radio, was originally scheduled to hit shelves this year. HTC first announced a delay to the project in July, saying that “after extensive wear testing and user feedback,” it had decided to “align Grip with the entire product portfolio for health and fitness launching later this year.” This second slip also appears to apply to HTC’s entire “Connected Fitness” platform: in a statement, HTC said it had decided in partnership with Under Armour to hold back its “fully integrated digital ecosystem of products” until 2016. Along with the Vive VR headset — created with video game developer and publisher Valve — HTC’s Grip is an attempt by the company to diversify its product range. HTC has seen its smartphone sales and profits drop over the past few years, but there’s no guarantee its new enterprises will be huge commercial successes: VR headsets are yet to hit the market in any meaningful sense, and the fitness band sector is already crowded with competitors. Microsoft has found a home in the Big Apple for showcasing its products and services — five blocks south of Apple’s own flagship store. NEW YORK — The Fifth Avenue Apple store, known as the Cube, is a destination for gadget enthusiasts and tourists alike. Just five blocks south on the famed street, Microsoft is hoping to capture that same chic with a flagship store of its own. The Redmond, Washington-based tech giant will open the doors to its newest, and biggest, store on Monday. To attract crowds, the company is offering tickets at the grand opening for a concert later that evening with rapper Pitbull. The Microsoft store is just the latest attempt by the company to build a stronger relationship with consumers and to bring back some excitement to its products and services. After years of letting its hardware partners sell products running its software, Microsoft is looking to have a more direct hand in pushing Windows 10 to consumers. Customers walking into the space, which was previously occupied by Italian fashion retailer Fendi, will immediately see the latest products from Microsoft. The first two tables display the Surface Book, the much buzzed about laptop-tablet combination the company showed off earlier this month, as well as theSurface Pro 4, the updated version of its work-friendly tablet. Beyond size and a second level, Microsoft’s newest store is similar to the rest of the more than 110 Microsoft shops in North America. 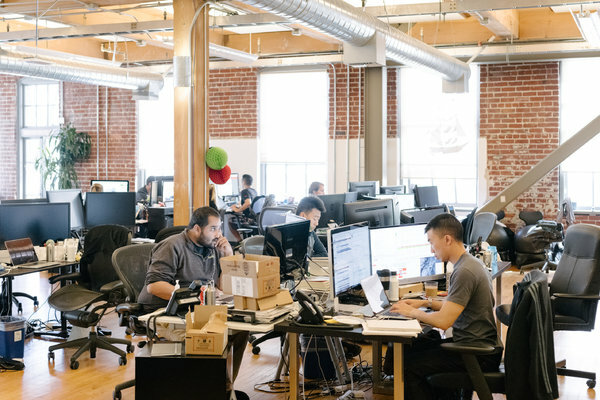 There’s a lot of space and many bright lights, along with areas devoted to different facets of Windows 10, from products created by its hardware partners to Microsoft smartphones to its Xbox One video game console. Tech support can be found upstairs, along with two spaces for classes and workshops that deal with Windows 10 devices and software. The highlight of the shop is an eye-catching 30-foot promotional display made up of 36 screens packed tightly together. That’s flanked by an array of displays that run along each side of the store and show off Microsoft products. According to the store’s senior manager, Bill Madden, they could also be used to stream local community events such as a parade in Times Square. The new store is also the only Microsoft outlet to feature the company’s massive Surface Hub touchscreen display. Outside, the store’s facade features a “culture wall.” In the evenings it will show digital works by local artists, though the company hasn’t nailed down the details of the art that will be displayed. Given the high-profile location, the store will serve more as a kind of interactive billboard than a simple retail outlet. Madden declined to comment on any expectations of how much revenue the store will generate.